Retailers are finding a new way to engage with their customers. Conversational commerce, or getting in touch via messaging apps utilizing natural language technologies, is quickly becoming an effective tool for retailers. Messaging apps for retailers can be a game changer when it comes to communicating with customers. The Internet makes it so incredibly easy for retailers and customers to connect. Between email, online content creation, social media, and now messaging, retailers have their pick of how to engage with customers digitally. Messaging is proving to be a great method of communicating, because so many consumers are already on some of the various messaging apps. Social media is certainly very popular, but messaging has an extremely high level of saturation. To be fair, email also enjoys a high level of use and saturation with most consumers having several email accounts; but messaging offers real-time interaction that cannot be experienced in email. Essentially, if customers are already on messaging apps, it makes sense for retailers to be there, too. If customers have questions or concerns messaging makes it easy for a brand to be in communication and answer questions and help in any way possible. This conversational commerce helps build a relationship between a customer and a brand. Happy customers are more likely to do repeat business with a brand they have a positive relationship with. This relationship can prove invaluable when this satisfied customer tells their friends and family how great your brand is, and word spreads through their network. There is a lot of value to your brand being available and engaging with your customers. Messaging will not replace other forms of communication between retailers and consumers, but it will add another avenue for retailers and consumers to engage. When customers have questions or concerns or a problem it is pivotal for a brand to be able to communicate in real time and offer an answer or resolution. Messaging apps make conversational commerce a very real possibility and give brands the ability to communicate directly with their customers. 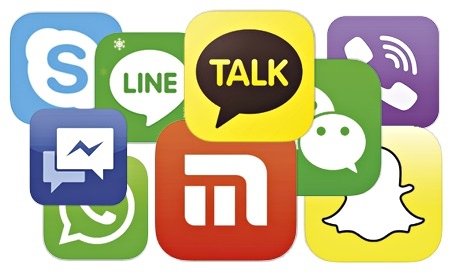 Are you a retailer using messaging apps? Let us know about your experience in the comments below and thanks so much for stopping by!